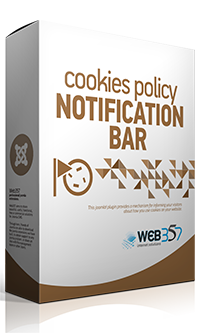 + [New Feature] The Cookies Manager functionality allow users to accept or decline specific categories of cookies. They have the full control of cookies now, and they can change their cookies preferences anytime. + [New Feature] New button "Settings" in the notification bar. This button opens the Cookie Manager (Modal Window). From the plugin parameters, you will be able to change also the name and the colors of this button. + [New Feature] There is a new parameter field to upload your own custom cookies manager icon at the bottom left or bottom right of your website. + [New Feature] New styling position. The notification bar can now be displayed also in the center of your page. + [New Feature] There are two new parameters. 1) the "Locked Overlay" and the "Overlay Color". The body of the page is locked until the user Accepts or Declines. ^ [Improvement] There are new screenshots in the plugin parameters to help admins understood what each parameter does. # [Bug Fixed] Fix CSS padding issue with top-left position. ^ [Language Files] The language files (da-DK, de-DE, el-GR, en-GB, fr-FR, it-IT, nl-NL, ru-RU) have been updated.
! [Removed] The Ajax/jQuery functionality has been removed permanently.